Malcolm Ray is an actor, on screen and as a voice over artist. 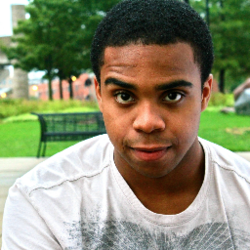 His skills go beyond acting with professional training in film and video as his major at Columbia College Chicago. In the span of his Bachelor career at Columbia, Malcolm has successfully completed his Interdisciplinary Film Degree, been the casting director for a practicum film, interned at O'Connor Casting, and has begun a professional acting career. Malcolm effectively made use of his elective credits, taking courses in Columbia's Radio and Theatre Departments including; Voice Over, Voice Acting For Animation,Radio Production, Voice 1 and more. He is represented as talent at the Stewart Talent agency in Chicago. As a freelance actor, he is currently hired talent for the online production company "Channel Awesome", appearing long side Doug Walker in many episodes of "Nostalgia Critic."